The Physicians Centre Hospital exists to provide professional, efficiently delivered, high quality healthcare services to residents of the greater Brazos Valley, while emphasizing choice, the sanctity of the patient/physician relationship, and the dignity of patients, guests, and staff. Our vision is that the patient comes first. With a strong reverence for life, we will promote patient and physician trust, patient and community education, and access to quality healthcare services. Delight our patients, delight our physicians, and delight our staff. We will "Always" provide patient centered health care service of the highest quality. 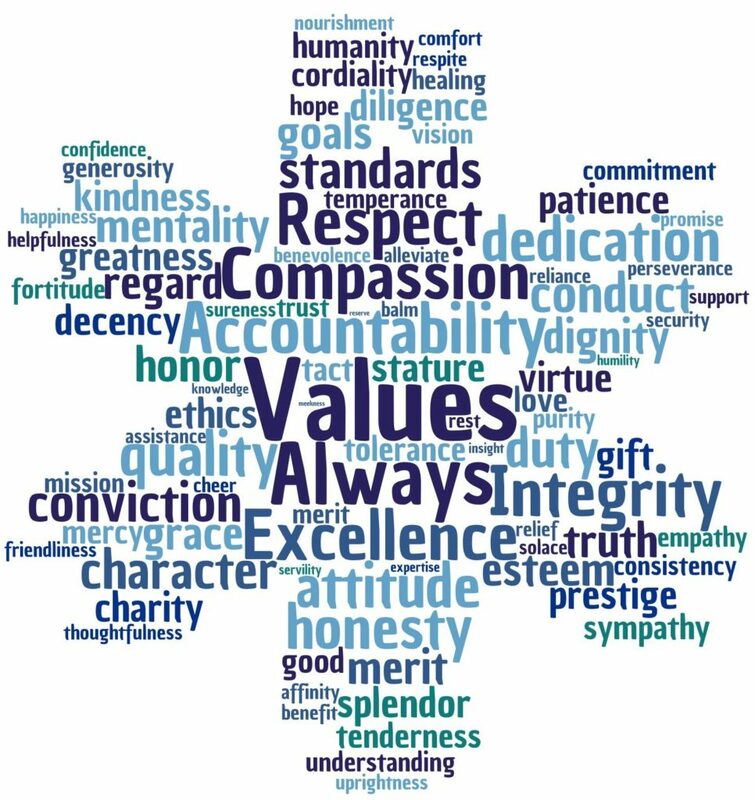 Trust, honesty, and fairness are essential to all that we do. We conduct our business with clear communication and transparency. We will develop and maintain patient and physician trust. All issues will be handled in a fair manner according to our policies. We will show care, understanding and empathy for patients, families, coworkers, physicians, and all who we encounter. We hold individuals accountable, but our teamwork is ultimately responsible for our success. We will be an active role model in our community by contributing to make our community a better place to live. We will create and uphold an environment of safety for our employees and those we serve. We value each person as a unique individual with a right to be respected and accepted and this will be reflected in our actions. We will respect others and expect to be treated with respect in return. We respect the rich traditions of hope and healing which allow us to continue to serve our community. We value excellence in our care, work, life, and education, and we celebrate our accomplishments. We will exceed the expectations of patients, co-workers, and physicians by doing the best job possible each and every time.